We are fortunate to have recently been sent via email a collection of photographs of Gerald Gallagher which his family owns. Our thanks to Gerard Gallagher of Ayrshire, Scotland, for permission to publish these pictures on our website, and for sharing with us the information he has gathered on his cousin Gerald. 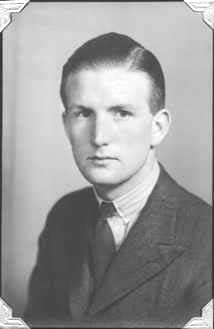 Gerald Bernard Gallagher was born in England on July 6, 1912. He was reportedly very proud of his Irish heritage and carried a picture of the family crest in his wallet. Among his brother officers in the Colonial Service his nickname was "Irish." Stonyhurst College gymnastics team, 1930. Stonyhurst is one of the finest Catholic boarding schools in England. 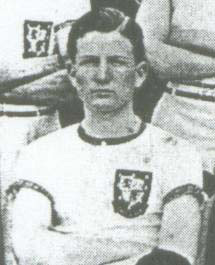 Gerald was there from 1924 (age 12) until his graduation in 1930 (age 18). The undated photo of Gerald at left was probably taken while he was a student at Cambridge University, Downing College, from October 1930 until his graduation in June 1934 (age 22). Photo courtesy Dierdre Clancy. When the photo at right was taken in February 1937, Gerald was 24 years old and completing his training as a Cadet in the Fiji and Western Pacific Service. He had already been assigned to the Gilbert and Ellice Islands Colony and would sail for the Pacific in July. Photo courtesy Gerard Gallagher. 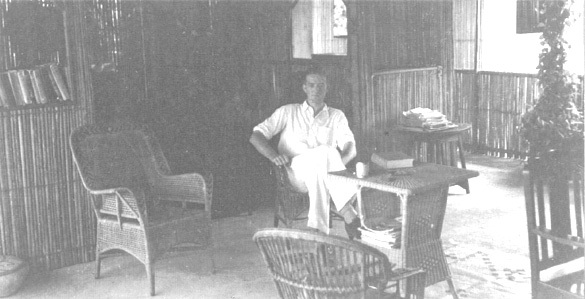 “Irish” in his newly completed house on Gardner Island (Nikumaroro). The house was completed in November 1940. 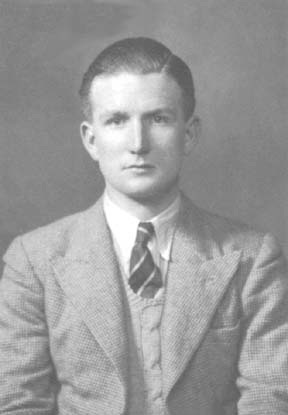 Gerald left the island in June 1941 and died immediately upon his return in September, so this photo must have been taken sometime between November and June. This is the last known photo of Gerald. He was 28. Photo courtesy Gerard Gallagher. 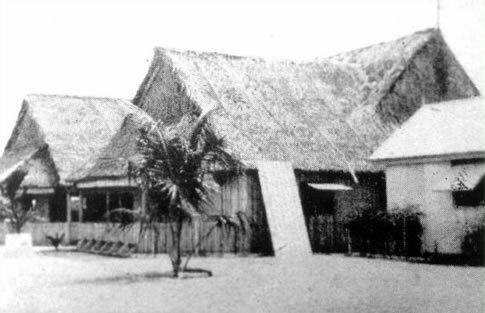 An exterior view of Gallaghers house on Gardner taken in November 1941. Photo from Sir Harry Luke’s From A South Seas Diary.